With the Olympic Games and Paralympics commencing in London on 27 July, we asked Sir Roy McNulty, Deputy Chairman of the Olympic Delivery Authority, to tell us about the construction programme for the Games. Sir Roy has over 30 years experience in aviation, initially with Short Brothers and Bombardier Aerospace, then as Chairman of NATS, and from 2001 to 2009 as Chairman of the CAA. He is now a Non-executive Director of Gatwick Airport Ltd and of Monarch Group. 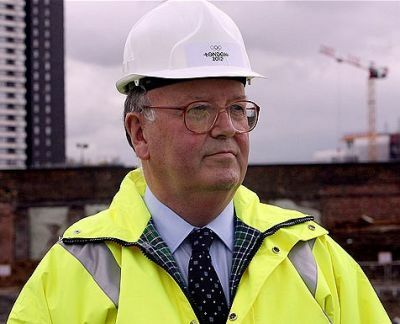 Sir Roy has been Deputy Chairman of the Olympic Delivery Authority (ODA) since its creation in 2006. "I don't mind admitting that many of us were distinctly nervous about the challenges facing us when the ODA was formed in April 2006. We were very conscious of the absolutely immoveable end-date, the less-than-stellar track record of many big construction projects in the UK (not least in the light of the then recent happenings on the Wembley Stadium project), and the very high profile we would inevitably attract. As well, we very quickly became aware that the £2.4bn budget, which the Government had initially announced, excluded many important elements of the programme and was clearly inadequate for some of the elements it did cover. The site for the Olympic Park presented its own challenges – containing a wide variety of mostly rundown commercial and industrial premises, with waterways and open spaces which were neglected or derelict. Parts of the site had been used in the past as a dumping ground for industrial and commercial waste, leaving contaminants such as oil, tar, arsenic and lead. The first two years of our work were largely taken up with Planning (including the masterplanning of the site, securing initial planning permissions, completing what we believe was the largest compulsory purchase order ever in the UK and, very importantly, getting approval for a budget of £8,099bn which matched the scope of the works we needed to undertake). In addition, in these first two years we completed most of the initial Transformation (demolition of buildings, undergrounding of powerlines, cleaning up contaminated soil and recycling materials reclaimed). Then came the Big Build – a massive construction programme starting in 2008 and leading to completion of all the major infrastructure and venues in the Park by July 2011, a year ahead of the Games. This was a very intense phase of the work on an enormous scale and with very challenging logistics, said by some to have been the largest movement of men and materials since WWII. At peak, over 12,000 people were working on the Park and the successful completion of this mass of work on schedule is tribute to the quality of planning and execution by all concerned. In parallel, the ODA has undertaken, either itself or with partners, a wide range of Transport projects including major improvements to Stratford and West Ham stations, new rolling stock and line extensions for the DLR. The final phase over the past year has seen us completing the Olympic Village and landscaping around the Park, supporting a series of test events at all the venues, and latterly working closely with LOCOG as they complete their overlay for the Games. The end result overall has been a resounding success for all concerned – the ODA, our design teams and contractors, and all the stakeholders we have worked with in Government, local government and the Olympic movement. We delivered the main construction programme a year ahead of the Games; we expect to have saved around £1bn against our approved budget; we have delivered a set of facilities well designed for legacy use; and we have set new standards for sustainability, equality and inclusion, employment and skills, and for design and accessibility. Perhaps the achievement of which we are all most proud has been Health & Safety where we have set new benchmarks for the industry, and completed the main construction programme without a single fatality. Within the ODA, its delivery partner CLM, and our contractors, an unrelenting focus on thorough planning and sound processes, the alignment of all concerned with clear objectives at every level, comprehensive monitoring of progress and risks, and real commitment to transparency and open reporting. And now we all look forward to the Games themselves, hoping that it will not only be a great festival of sport but a moment when London and other parts of the UK enjoy playing host to the rest of the world".